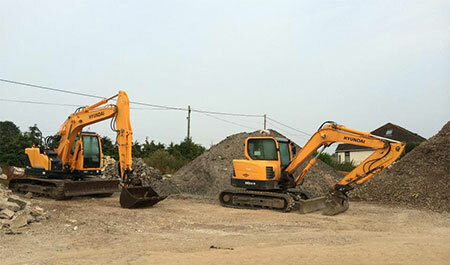 JH Group are a leading Plant Hire & Groundwork Contractor for the South West. Our plant operatives are highly experienced and fully trained. With such a large fleet of vehicles at our disposal we have the ability to facilitate large and small movements, seven days a week. We undertake a range of Demolition projects from single to multi storey buildings ensuring projects are carried out in a safe and efficient manner. With many contracts being carried out in densely populated areas, the company has grown to be sympathetic to its surroundings and is known for the ability to develop beneficial solutions to difficult logistical and environmental problems. With a wealth of experience we are able to cater for all drainage needs, both commercial and domestic. We can provide grab lorry hire for a wide variety of customers and needs, including muck-away, rubbish clearance, and all other types of waste disposal and bulk haulage for both commercial and domestic clients . JH Plant Hire can provide an operator with all plant hire, to make short work of any major projects you may have. Price Promise - We Will Beat Any Like For Like Quote. JH Group pride ourselves on the high quality service we provide our clients time after time. As part of our ethos we have successful received a number of accreditations supporting the quality of our services. This include: ISO9001, ISO14001, EXCOR, CHAS, SAFE CONTRACTOR.